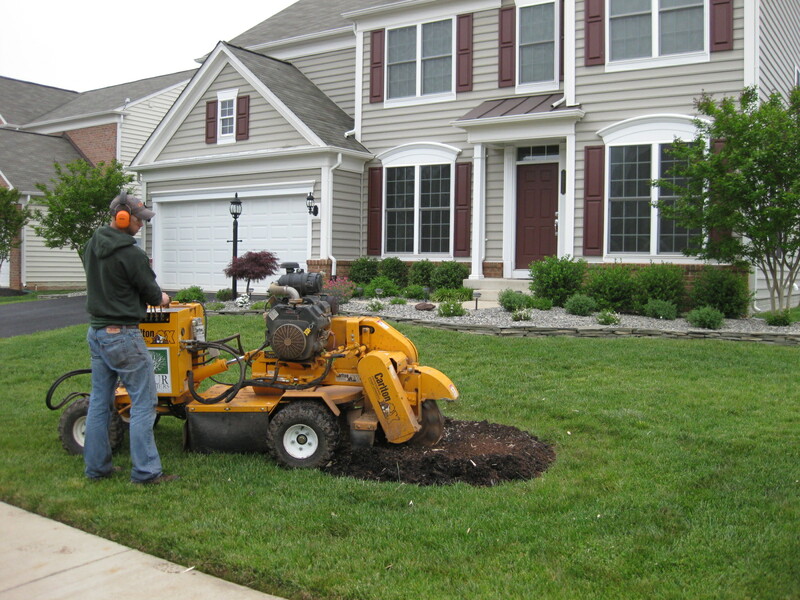 As one of Northern Virginia's leading tree experts, Four Brothers provides stump grinding to rid your yard of those unsightly stumps & surface roots (assuming the tree has been cut down). Once the outer wheels are removed, our grinders are able to fit through 36" wide gates to access those hard to reach back yard stumps. If possible, we grind to a minimum depth of ~6" below grade so you may grow grass where the stump was. 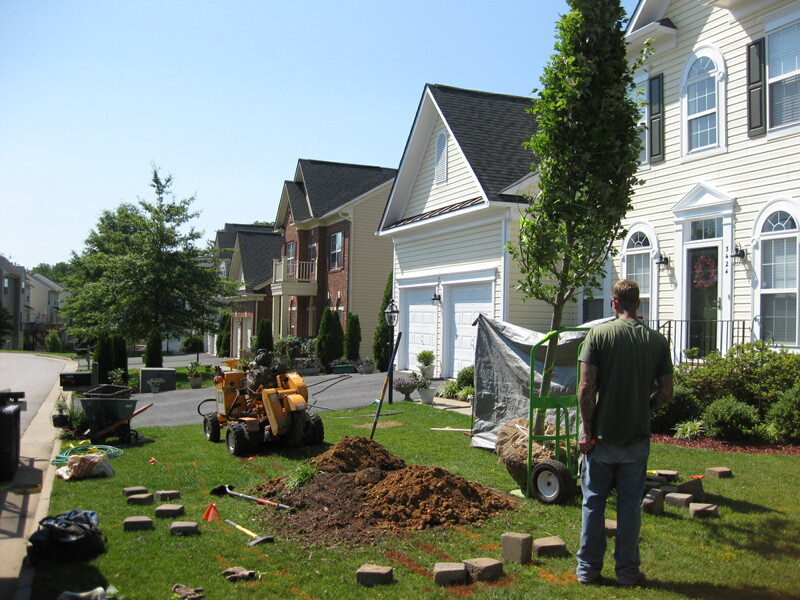 Should you choose to replant another tree or shrub, we'll grind the stump completely out. 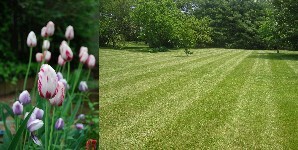 When finished, the wood chips are raked into a mound over the hole & your lawn is left looking better than before. Many homeowners enjoy using the remaining wood chips as mulch for flower beds. As an option, we can remove the wood chips, fill the hole w/ topsoil, apply seed/straw or sod, or even re-plant should you choose to install a new tree. The Green Team - " Proudly Serving Our Community"